Important: RoboWhois has been discontinued and will be closed. 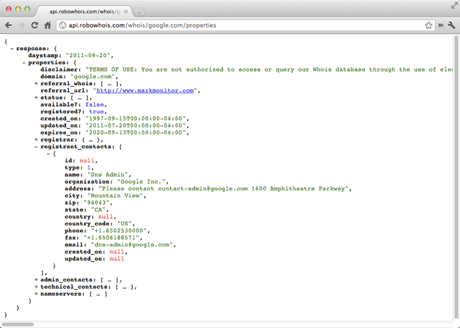 RoboWhois is a cloud-based web service that provides a RESTful API to access WHOIS records and domain related information with a unified, consistent interface. RoboWhois is awesome. 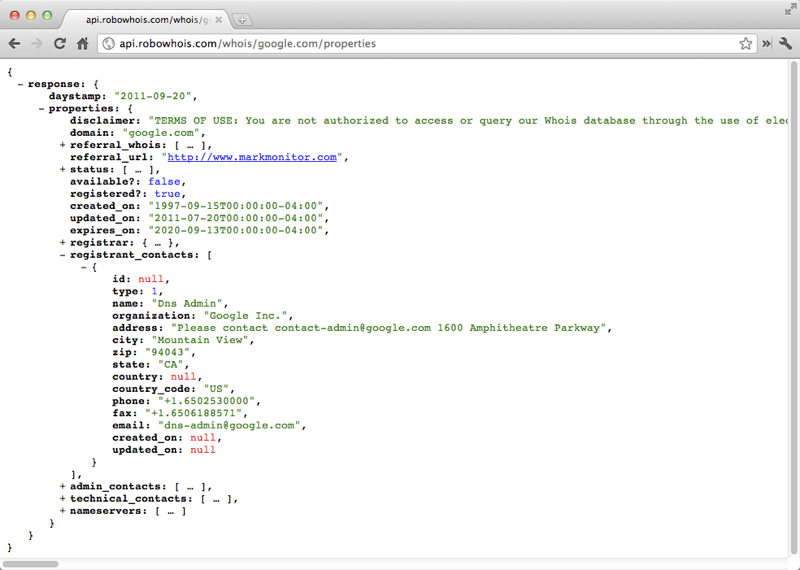 Quite simply, it's the best whois API that I've ever used. RoboWhois literally saved the day for serpIQ.com. They provide access to notoriously tricky to process data via a single simple JSON call, making our job turn from a headache into a great experience. RoboWhois works great. It took us 2 days to integrate into our systems and the results are quick and reliable.